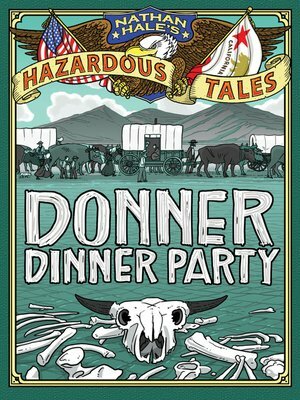 The Donner Party expedition is one of the most notorious stories in all of American history. It's also a fascinating snapshot of the westward expansion of the United States, and the families and individuals who sacrificed so much to build new lives in a largely unknown landscape. From the preparation for the journey to each disastrous leg of the trip, this book shows the specific bad decisions that led to the party's predicament in the Sierra Nevada Mountains. The graphic novel focuses on the struggles of the Reed family to tell the true story of the catastrophic journey. This popular topic is a perfect addition to the Nathan Hale's Hazardous Tales brand, and a great showcase for Hale's storytelling skills. "This informative graphic novel capitalizes on enticingly gross history to great effect, balancing raw facts with strong storytelling."